Elaine Defibaugh is a painter, printmaker, installation and video artist. Her goal is to create an active painting that extends beyond it’s traditional format. 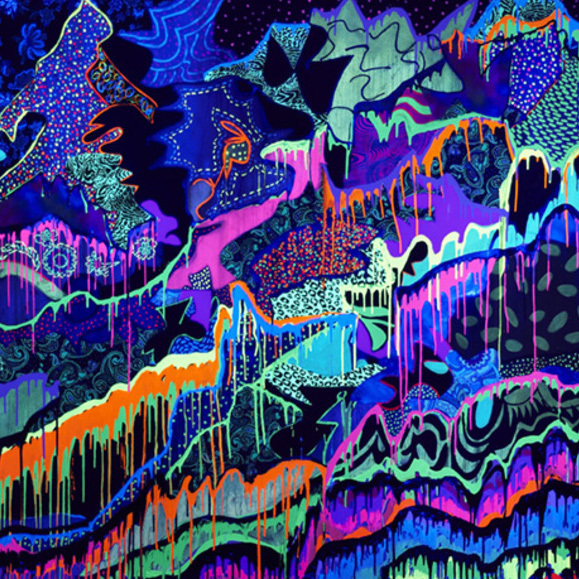 She paints shadows onto large canvases with bright, fluorescent acrylic paint that can be seen under two different lights. Defibaugh has been shown in several galleries across the US and has received many awards and fellowships. She taught at Rochester Institute of Technology until 2005 when she decided to become a full time artist. She now resides in Rochester, NY.